If you read the last post, we were discussing some pretty amazing, earth shaking, life changing precepts arriving along with the new discoveries in science. I was saying how Dr. Bruce Lipton, an epigeneticist involved in stem cell research since the 60’s, is so excited about his discoveries that he reminds me of a kid. I have an audiobook of him and I must say, I love listening to people who are so filled with the joy of discovery that it overflows from them. I feel the same way myself. I can’t help it. There is soooo much to be excited about. I think, even though the world is pretty messed up in many ways, that there is so much goodness in people, and so many amazing things to learn, to discover, that basically, there is no limit. I find myself enamored with science now, but when I was in high school I could hardly stand it. It seemed so boring. I think we all can find the joy of life and living, if we really want it. I believe that this is the secret. As long as a person believes he will find good things, he will. Sometimes we all have “bad times”, for sure, but we learn from those times and grow stronger, as a result. I’ve always been glad that I wasn’t born a spoiled little rich girl. I never wanted my kids to get super famous like a movie star, for example, because fame is hard on people, too. It makes it much more difficult to make the right choices, our pride definitely is harder to deal withwhen so much is going on. I think it would be nice in some ways, but very difficult, too. What do you think about it? Not all my posts will be about science, or natural health, education, naturopathy, alternative healing, natural remedies, or nutrition. Check out the evergrowing list of categories. I am learning so much as I study and research (two of my favorite hobbies). Life is full of wonder – wonderful times, wonderful learning, wonderful food, wonderful people, and it’s a wonderful life. Maybe I should give this blog a name. Maybe that should be the name. 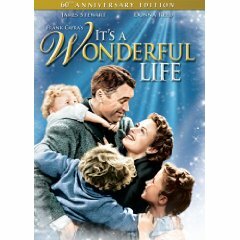 “It’s a Wonderful Life” ok, it isn’t original, but it is the way I feel for one. If you come back to this blog, you can overhear us talking about lots of exciting news, educational topics, natural health by the tons, homeschooling, nutrition, lots of fun, maybe some heated discussions (our family is famous for these). And, it will be upbeat, ‘ cause I’d rather be happy. It’s a wonderful life (even if you don’t see it that way ALL the time.